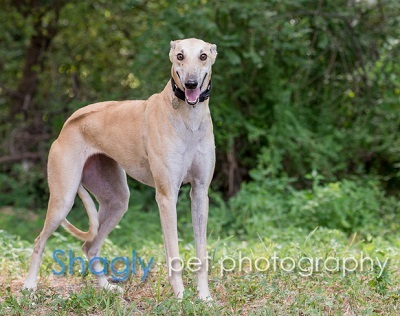 Hershey is a 1½-year-old fawn female born December 2, 2013. Her sire is Hi Noon Renegade and her dam is SL Ava. 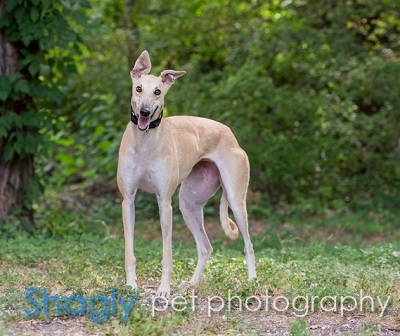 Hershey's personality was not suited to racing, so she was not individually registered with the NGA and has not raced. 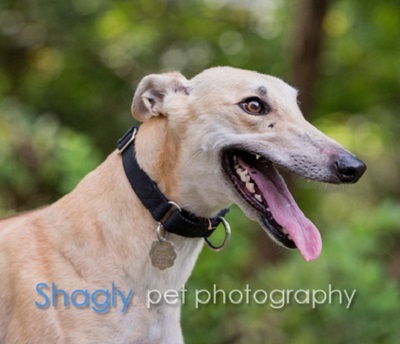 Hershey has passed an initial cat test and is living in a foster home with cats.